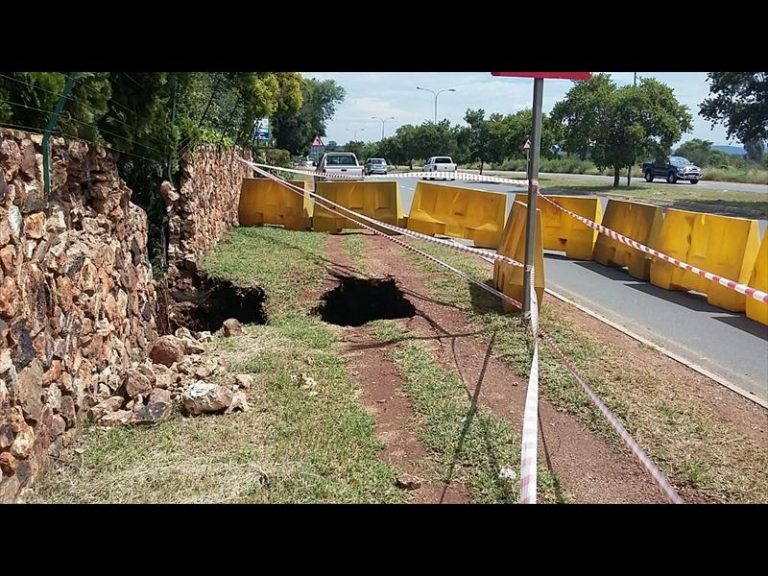 Area ward councillor Mohamed Essop says that there are no funds to repair the increasing number of sinkholes in Centurion. 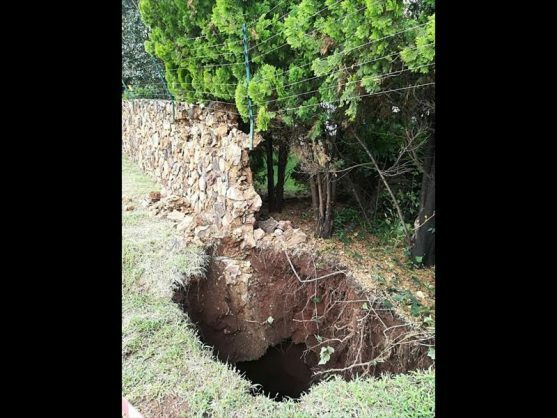 Centurion is experiencing a mass cave-in, with the discovery of yet another sinkhole on Tuesday morning, Centurion Rekord reports. 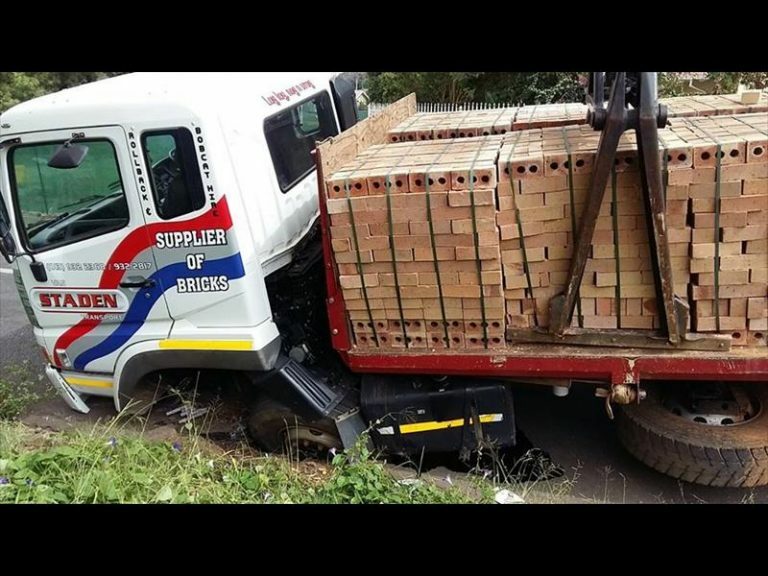 A truck loaded with bricks fell into a sinkhole on the corner of Bodenstein and Eli streets in Erasmia. Area ward councillor Mohamed Essop said the driver was driving slowly into Bodenstein Street when the sinkhole caved in. He said Tshwane metro’s geology department had already assessed the sinkhole. “It needs to be determined if this is a completely new sinkhole or if it forms part of the existing one,” said Essop. He said the metro was facing a major headache with the costs of repairs. Essop said that, apart from the sinkholes on the roads, three more were discovered on residential properties in Erasmia. Centurion Rekord reported on the sinkhole in Bodenstein Street in April last year, six months after it caved in. There are about six sinkholes in Erasmia alone. David Farquharson, councillor for ward 57 said two more sinkholes – in Tieroog Street and at the corner of Burger and River streets – were discovered after the rain. Other sinkholes in the ward are at Cradock and Warren streets intersection and the familiar Gerhard Street and Jean Avenue intersection. Councillor for ward 66 Ina Strijdom said there may be one in her ward, in Jean Avenue, Clubview. Other sinkholes in Clubview are in Kameeldoring Avenue and Ashwood Drive. And, the sinkhole that had the media abuzz last week is the one in Stephanus Schoeman Road in Valhalla. This sinkhole swallowed a car last week Friday morning. Gert Visser, councillor for ward 65, said a new sinkhole was discovered on Alexandra Road in Irene. Wards 69 and 70 in Centurion are clear of sinkholes. A truck got stuck in a sinkhole on the corner of Eli and Bodenstein Streets in Erasmia on Tuesday. Photo: Facebook.